Washington, DC — The General Aviation Manufacturers Association (GAMA) and Build A Plane today announced that Olney High School in Olney, Texas, is the winner of the fifth GAMA/Build A Plane Aviation Design Challenge. The challenge, created in 2013, promotes Science, Technology, Engineering, and Mathematics (STEM) knowledge among U.S. high school students. As the prize, four students, one teacher and one chaperone will travel to Glasair Aviation in Arlington, Washington, to build a plane from June 19 to July 1. The competition included 93 high schools from 31 states and Washington, DC. The teams used Fly to Learn curriculum to learn the basics of aerospace engineering and then applied that knowledge by modifying a virtual airplane with software powered by X-Plane. The software scored the aircraft based on the payload, the length of the flight and the amount of fuel burned. In addition, judges from GAMA’s engineering team evaluated a summary of modifications each team made to the virtual Cessna 172SP, a checklist of steps involved in the demonstration flight and three videos submitted throughout the competition, culminating in the students sharing what they learned. Builder Ken Baur will not only let the students help build the airplane, but is bringing his son, Mike, to assist him throughout the two-week build. Sponsors will provide round-trip airfare, hotels and meals for the winning team. They include Air Tractor, BBA Aviation, ClickBond, Embraer, Garmin, Gulfstream Aerospace, Jet Aviation, Jeppesen, JSSI, Redbird Flight Simulations, Siemens, Textron Aviation, Wipaire and Bose. 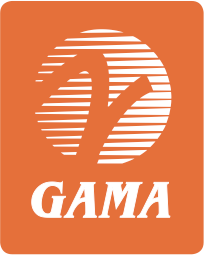 In addition, staff from GAMA will support the build. To watch a video announcing the winner and see the students’ reaction, please visit the GAMA YouTube Channel. More information about the competition organizers can be found at gama.aero, buildaplane.org, glasairaviation.com and flytolearn.com.